Despite the second year of the Russian aggression, Ukraine managed to attract $3 billion in foreign investment in 2015. However, economic growth requires much more substantial funds, which the country will try to get in 2016. At a January news conference, President of Ukraine Petro Poroshenko said the country’s economy was expected to attract in 2016 billions of dollars in foreign investment. This forecast turned out to be in tune with the government's plans. Minister of Economic Development and Trade Aivaras Abromavicius said Ukraine should attract about $5 billion in foreign direct investment (FDI) this year. Such plans cannot be called too ambitious, because back in 2008, Ukraine saw a maximum annual amount of foreign investment amounting to $10.9 billion. Then there was a collapse in 2013, when FDI plunged to $4.5 billion. In the first year of war with Russia, Ukraine recorded the lowest investment in the history of the independent state - $0.4 billion. The UN analysts point out that FDI flows into the countries with economies in transition decreased by 54% in the past year, due to military conflicts and the decline in world prices for raw materials. Thus, the main trend in 2015 was re-orientation of investors toward developed markets. The United States pressed China out of the top spot in the rating of largest attractors of foreign capital, enjoying a $384 billion inflow of investment. In addition to China and the U.S., among other countries most attractive for investment last year were the Netherlands, United Kingdom, Singapore, India, Brazil, Canada, and France. Ukraine has dropped out of the positive global investment trends. In view of the ongoing war of Putin's Russia against Ukraine and the general instability in the country, foreign investors are not too generous. According to the State Statistics Service, due to the devaluation of the hryvnia, total foreign investment as of October 2015 decreased by 4%, down to $44 billion. According to the analyst of Alpari financial company Anton Kozyura, "the largest drop in investments was primarily due to the devaluation of the hryvnia early last year." “Therefore, while the National Bank manages to keep the rate within the current levels, there is a reason to believe that the situation tends to balance," said the expert. Executive Director of European Business Association Anna Derevianko stressed that the decline in total investment is predictable and logical. "Our investment attractiveness index (of the European Business Association) in 3Q 2015 also showed a minor fall - from 2.66 to 2.56 points. For several consecutive years, starting 2011, the index cannot get out of the negative plane and reach at least 3 points. Both the fall of the FDI, and the drop in the index are a natural projection of what is happening in the country’s economy and its regulatory field," she said. So, the main internal factors reducing investment flows into Ukraine have become volatility of the basic monetary indicators and poor business environment. While the Ministry of Finance and the National Bank are going to deal with the first factor with the help of the cooperation program with the International Monetary Fund, which is expected to disburse its next tranche in February, the second problem is supposed to be overcome with the help of deregulation. 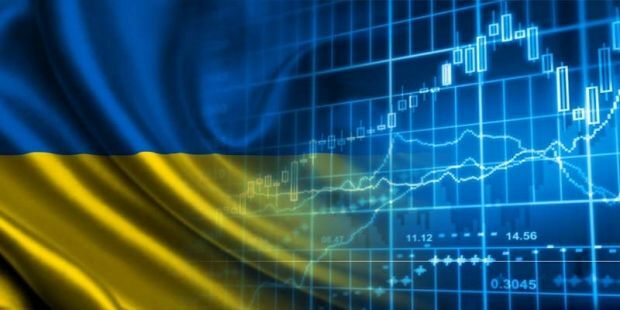 In this regard, Ministry of Economic Development plans to ensure Ukraine's entry into the top 50 of the Doing Business rating even before its next review in the autumn of this year. To do this, Ukraine needs to rise by at least 33 points, which would be a historically unprecedented progress. Experts estimate that a rise by 1 position in the Doing Business rating provides for additional $500 million in FDI. Thus, the agenda of the Ukrainian government for 2016 is shaped taken into account the need to increase investment attractiveness. However, urgent as ever is a more complicated question regarding the sectors of investment, which can serve as a magnet for foreign capital. The interest of foreigners in Ukrainian assets can hardly be called particularly lively. Due to the difficult business environment, most of the foreign capital has historically been concentrated in highly profitable sectors – industry and finance. At the same time, the banking system ceased to be attractive during a 2008-2009 crisis due to the dramatic fall in the value of bank assets. As for the industry, the State Statistics Service reported that the biggest bulk of investment comes from Cyprus, meaning that it is, in fact, solely a “repatriation” of funds earlier withdrawn to the offshores by the Ukrainian owners of industry. It’s the oligarchs who use the offshore jurisdiction most often. The share of such "investments" in 2015 amounted to about 30% of their total volume. At the same time, investment from Ukraine amounted to $6.2 billion as of October 2015, 92% of which were sent, yet again, to Cyprus. Since nobody has actually seen the Ukrainian money on this Mediterranean island, the State Statistics Service’s article about foreign investment in Ukraine could be interpreted as the amount of funds withdrawn by big businesses "into their own pockets." The Government is presenting Ukraine as a global leader in production and export of agricultural products, as well as one of the largest IT-hubs in Eastern Europe. 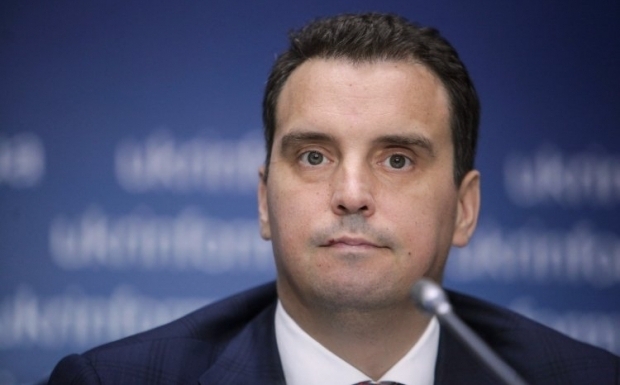 The validity of such accents is confirmed by statistics - according to the Minister of Agrarian Policy and Food, Oleksiy Pavlenko, investments in agriculture have helped smooth the overall decline in the activity of foreign businesses in Ukraine. "The share of investments in the agricultural sector in the total volume of capital investments in Ukraine’s economy has increased from 8.2% to 10.7%. This made it possible to slow down the overall decline in investment," said the Minister. According to the State Statistics Service, the capital investments in the agrarian sector in January-September 2015 increased by 18% - to $17.2 billion. However, the situation is different with the industry that saw capital investment decreasing by 22% in the same period. Kozyura also emphasized that the growth of investments is not expected in sectors of Ukrainian industry. The expert linked the trend to the low competitiveness of the products, as well as the decline in global demand for traditional Ukrainian exports. Meanwhile, Derevianko is optimistic about investment attractiveness of the country’s textile industry, IT and services sector, including tourism. "Services, information technology, light industry, tourism – any of these sectors is able to develop in the medium term. Take the textile industry, for example. Ukraine has qualified labor force, which is also cheap by the EU standards. It also has a logistically convenient supply chain. These two factors, given proper management, as well as the fiscal policy aimed at supporting investors rather than pumping money out of them, will be able to give the industry a boost and develop it to the levels earlier unimagined,” said the EBA exec. However, Derevianko does not rule out that in the long term, even machine building and heavy industry may see development, but they will require the adaptation and modernization of production facilities. Nevertheless, the investors’ industrial accents are unlikely to become as obvious as before in the short term due to the loss of technologically related Russian market. The search for the economic structure, which would be relevant considering today’s circumstances, will inevitably continue in 2016. Economy Minister Aivaras Abromavicius stressed that foreign capital is vital for the use of the Ukraine-EU DCFTA preferences. In the past year, the main investor in Ukraine, other than Cyprus, were Germany, the Netherlands, Russia, Austria, Great Britain, France, Switzerland and Italy. The experts estimated the $5 billion investment attraction plan for 2016 as realistic. In particular, Kozyura links the prospects for the implementation of the plan with a stable global economy and the predicted success of the privatization. In turn, Derevianko noted: "I share the view of Aivaras Abromavicius, but, with a degree of caution, I’d say. If, at least, one of the problems of investors is solved; or the first results are shown; while the reforms proceed, at least slowly, there is hope for change for the better. But we shouldn’t put on the pink glasses, as the year of 2016 will not be easy, either." On January 28, The Verkhovna Rada adopted in first reading a bill to abolish the mandatory sale of 5-10% of the shares of the privatized companies on the Ukrainian stock exchanges. If this law is fully adopted, it will open the way for large-scale privatization, and the likelihood of increased investment will become quite realistic. The state budget for 2016 envisages privatization revenues at UAH 17 billion, or $670 million, which will be recorded at year-end as FDI. Meanwhile, according to Oleksiy Zubritsky, the adviser to the Agrarian Minister, the budgeted revenue from privatization is undervalued. He believes that the privatization of the state holding Ukrspirt alone could bring about $3-5 billion. 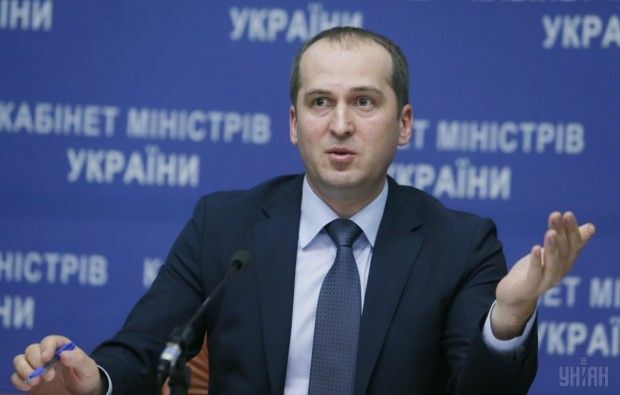 In turn, Deputy Minister of Economic Development and Trade Adomas Auditskas believes that, due to the sale of 345 state-owned enterprises included in the privatization list, Ukraine will not only be able to attract $3 billion, but also tackle corruption in these SOEs, according to his Facebook posting. As for the price of Ukrainian exports in the world markets, the situation remains uncertain due to the correlation of declining oil prices with raw materials, including agricultural products and metals, dominant among Ukrainian exports. Thus, attracting investments is an important condition for the stabilization of the balance of payments, considering uncertain prospects of commodity exports. In addition, investments are needed to increase production capacity and the supply of goods to the EU, which is intertwined with the start of economic recovery following two years of depression. Ukraine’s investment attractiveness will ultimately depend not only on the effectiveness of government reforms, but also on the global economy, which has not favored developing economies lately. Given the low prices of the main Ukrainian exports, our country needs a new structure of the economy, which is often described as a "European factory." And this requires not just a cheap skilled labor, but also the foreign capital, which can be attracted through drastic deregulation, privatization of inefficient state assets, monetary stability and investor protection. It is time to move from announcements of reform to the actual reform.